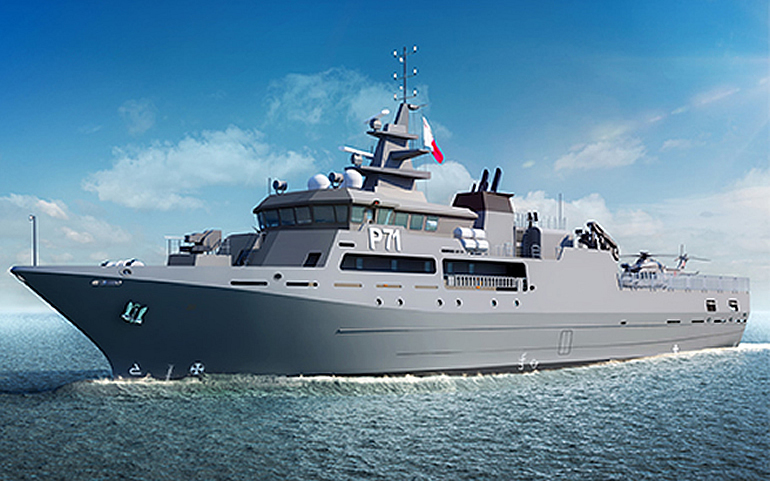 Artist impression of the P71 patrol vessel of the Armed Forces of Malta. 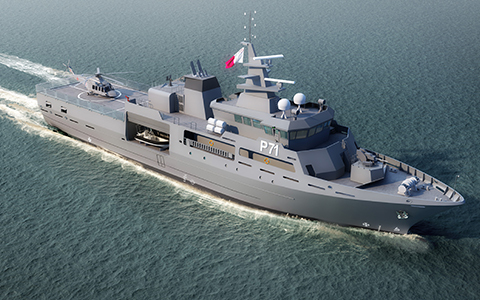 The 1800ton displacement, 74.8 metre, twin-screw vessel will feature a Rolls-Royce scope of supply that includes a pair of PROMAS controllable pitch propellers and rudders, SC722 FCP steering gear, a TT1300 bow thruster, a TT100 stern thruster, Fin Stabilisers, and a touch-screen remote control system that incorporates the novel CanMan Touch Joystick for all units. 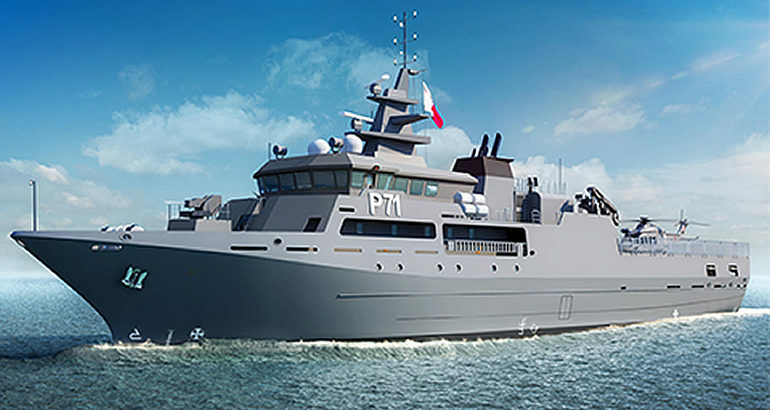 Artist impression of the P71 patrol vessel of the Armed Forces of Malta. Rolls-Royce picture.